The All-New Electronic Fuel-Injected American LandMaster Trail Wagon TW450 4x2 Utility Vehicle makes your life easier by helping you get your chores and projects done quicker and easier. Electronic Fuel Injection means fast, reliable starting and improved fuel economy, all while being environmentally friendly. 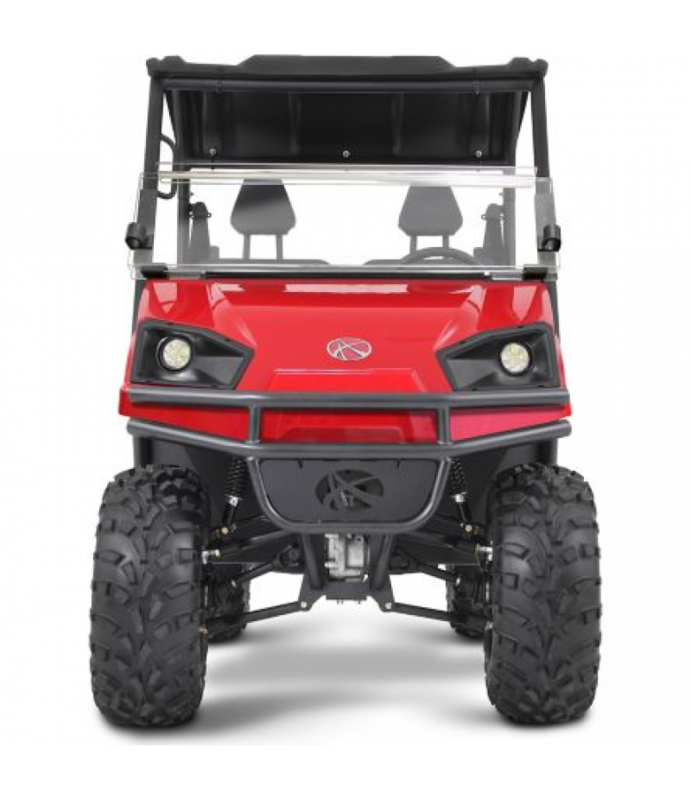 Made in America by American LandMaster, this UTV is capable, durable and functional with a go-anywhere attitude. This rugged Utility Vehicle packs power and endurance for the long haul, perfect for all your jobs. Whether you are pushing, pulling, hauling or just need transportation, the Trail Wagon TW450 is the UTV you have been looking for. Bed Capacity: 9.25 cu. ft./400 lb. Product Size: 107-1/2 in. x 48 in. x 78 in.